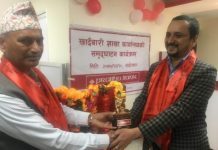 Sanima Bank Limited has formally inaugurated Putalisadak Branch on April 3, 2019at Putalisadak, Kathmandu. 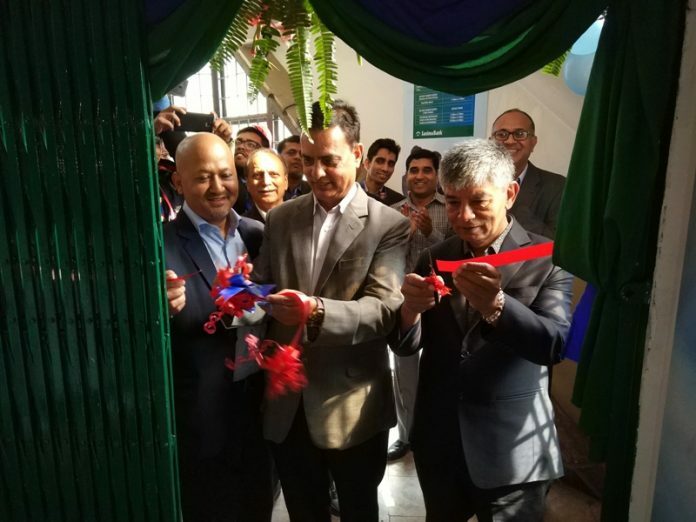 The branch was jointly opened by the Chairman Mr. Binaya Kumar Shrestha and Brand Ambassadors duo Mr. Madan Krishna Shrestha and Mr. Hari Bamsha Acharya (MAHA) amidst a ceremony. 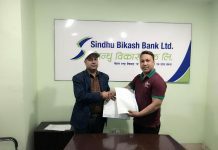 Chairman Mr. Binaya Kumar Shrestha said that the branch would provide all kinds of banking services in addition to being an education hub. Further, CEO Mr. Bhuvan Dahal expressed his gratitude to customers and stakeholders for continuous support & patronage and showed commitment to provide a quality service. 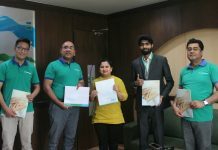 MAHA congratulated the residents of Putalisadak for Sanima’s presence in their locality and Sanima for its continuous growth and success as a secure and reliable bank. The bank has been able to extend the service from a total of 78 full-fledged branches and 72 ATM networks.